The Church at the Old Manse is ideal for golfing groups. 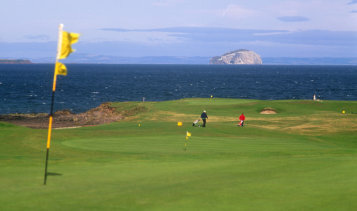 With more than twenty courses within half an hours drive from us, the variety of course settings available is fantastic. 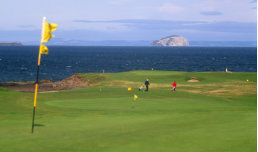 Whether its the Dalmahoy Country Club, Livingston Deer Park Golf and Bowling or the local clubs of Lanark , Carnwath, Biggar, Shotts, Greenburn or Harburn there is a selection of courses and activities to keep you and your group amused. Slightly further afield St Andrews, Loch Lomond, Troon and North Berwick are around 80 minutes away while Muirfield and Gleneagles are 60 minutes away.